We believe in offering outstanding value for professional website design and unlike many web designers, we are happy to display indicative website design prices – as you can see below! Of course no one business is alike and the packages displayed are suggested prices. To get a confirmed quote we need to speak with you first to get a complete understanding of your project, so please call us on 01733 808666. Our fixed price approach to all quotes provides customers with the reassurance of knowing exactly what they will pay for a project. This allows for clear budgeting without any worry of hidden extras appearing. The proposals and quotes we give are firm and won’t change unless you add to your project. 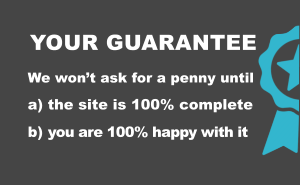 Also, we won’t ask for a penny until your site is live and you are 100% happy with it – your ultimate guarantee! What happens when you enquire? 1) We reply as soon as we can to arrange a phone consultation or face to face meeting. 2) When we speak our aim is to understand your market, your business objectives and any relevant technical considerations. With this information we then confirm the elements your new website will require for it to do what you want. 3) We work out a confirmed price and timescale for your project. 4) We email you an outline proposal that will confirm the full details of what you will receive from us, the process involved and also any elements that might require your input. As well as the project timescales, the quote will include a total cost of the build and operation for the first 12 months. 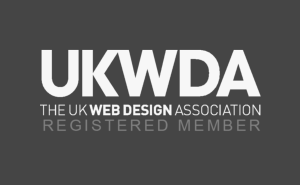 All quotes include web hosting and support for the first year. So what are you waiting for? 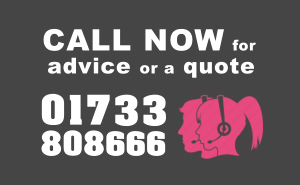 Call us now on 01733 808666.